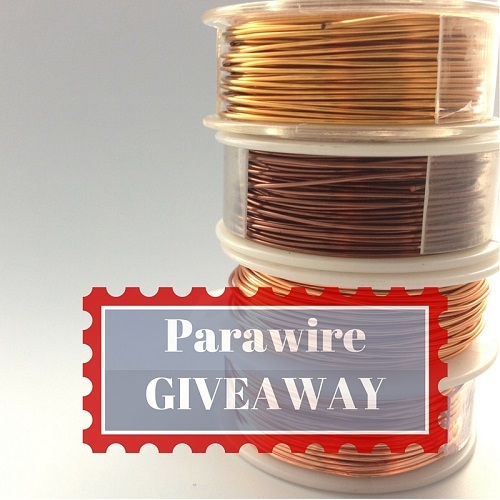 Parawire, a US manufacturer, has a huge range of premium craft wire and they are back for another awesome giveaway (and a special reader discount)! The type I have been using lately are the fine silver plated copper core ones which are also coated and thereforetarnish resistant. The wire is soft and easy to manipulate. I received more wire from them for review. Last time, I compared their fine silver plated wire with other kinds I had in my studio. This time I got to see and use more of their metallic colored wires. These were all coated for protection except for bare copper. I really like their range of luscious colors! Each color can be used by themselves or combined in jewelry designs. I also found one has to choose which shade of gold to use in designs! Rose gold for example is like a pale copper color. And that champagne gold is more yellow than the regular fine silver plated one. One reader emailed me to ask if I used Parawire for making the ear wires. My initial answer was no. I had been using solid metal like sterling silver or sterling silver filled, copper, jeweler's bronze to make the ear wires. I thought perhaps a few people may be allergic to the coatings. But then the penny dropped. The coating is arguably more beneficial for those who are totally metal allergic. Their skin will not be in contact with the metal. I do have some metal allergies myself. So I made some ear wires using 20 G fine silver plated wires and tested them myself. Very comfortable to wear indeed and no problem at all. I generally use 20 G or 22 G half hard wire for earrings. The copper cored Parawire is soft temper. So if you do make ear wires with Parawire, remember to work harden them. 20G is best as it is thicker and will help keep the shape. Parawire (and other coated metals) is fine for earrings and necklaces as these pieces do not have the same wear and tear as rings and bracelets. 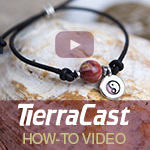 You can still use the coated wire for bracelets provided the pieces are not worn often. I did test out a Parawire wire wrapped ring by wearing it everyday and the coating does wear off after a few weeks of hard wear. In general I love making jewelry with Parawire for a few reasons. If the trial designs turned out well, then they are saleable and at a lower price point than precious metal ones made in the same way. If not, it's not the end of the world because the wire is inexpensive. As the coated wires are non-tarnish, they are easy to display without much care for long periods of time. Tarnish is one reason why I found consignment in a store to be tricky. I had a lot of fun making wire flower earrings with several colors of Parawire. Learn how to use a simple jig to make them in the tutorial which will be out later this week. It ends in a week's time at 6 pm EST Monday, December 14, 2015 . I will pick the winner randomly and announce the results as soon as possible after. So be sure to leave a contact email if you don't have an online link or make sure you come back and check! Otherwise I will redraw in a week. Good luck! I used my iPhone 6S, the camera+ app and the Modahaus Tabletop Studio TS320 in natural light for the wire spool and final product pictures. 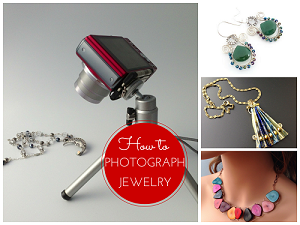 Click here for more information on my How to Photograph Jewelry webinar which will resume in January. I like coated wire for the knitting stitch markers I make because of the wide range of colours available. I have been looking for a new source of wire, perhaps I should try this brand out. I appreciate the photos showing the differences in the wire colours. (even though each computer may show them differently ) I would love to win the prize as I dont have parawire in my supply cupboard. (yet) I follow you with Feedly and on Facebook .I read your blog daily. So many colors......so much fun!! I LOVE Parawire. I use it all the time. It is consistently a great reliable wire. I would love to win this giveaway. Wow, I didn't know that! Thanks for the info, now a chance to win some wire, can it get any better? Looking forward to your tutorial, Pearl. In the meantime, please enter me in the giveaway. I love to use Para wire. Would love to add to my stash. I make jewelry for myself and friends. Great hobby! I just recently started out jewelry making also and want to explore different techniques and jewelry types, but money is tight! Would love to win and build up my jewelry making inventory! Love your giveaways! Thanks for the chance! Haven't used Parawire but would love to try working with it. Blog reader and subscriber. So glad to learn about the coated Parawire. I make a lot of earring wires and knitting stitch markers and want to try this. A $50. prize would surely be welcome! Thank you. Thanx so much for the review, very informative. I'm a polymer clay artist, but wire wrap all my cabochons. I've never used the coated wire, time for a new product line to play with, WooHoo! Parawire is indeed a great wire to work with! I love using it in classes because the cost is low and the product is great! I have used parawire as well and I have been very pleased with it. I agree with what you said about tarnished pieces in consignment stores, it is a problem! Would love to win this! I'm an avid blog follower and love your posts! I love to make things with wire and Parawire is one I haven't tried. I specifically like the idea of the non tarnish feature. Would love to receive some Parawire to try out. OMGoodness, what a Merry Christmas to ME this would be!! (Yes, I'm a poet and didn't even know it!) THANKS for the chance to win such a great giveaway!! I love parawire! I love having a choice of colors to use! I am a blog subscriber and I will be sharing this on my Facebook business page! I love love love Parawire! Colors are amazing! Some really nice looking wire! I placed an order from Parawire and it came as scheduled. Nice quality and I have used the 28 gauge for crochet. Works very well. Thank you for the update on the earwire usage. I would like to try Parawire as I have only tried that cheap stuff. Thanks for the giveaway!!!! Beautiful colors, but my favorite would be the Rose Gold. I love that color. Love Parawire! It's affordable, easy to work with and comes in lots of fun colors. Since the last give away & review I have purchased some of this Parawire and I love working with it!!! 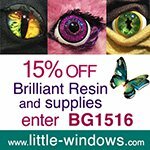 This would be a lovely prize to win and can't wait to see who is chosen. Thanks for the Coupon code too! I LOVE Parawire and you can never have too much of it! Thanks for the opportunity to potentially win these spools of Parawire and thanks for the great articles and tutorials. I am a blog follower! My cupboard has spools and spools of Parawire in many colours. I absolutely love it! Just the other day I was doing some wrapping and while looking at the spool I was working off of I suddenly panicked! Even though there is still plenty on the spool - maybe 100 ft or so - I was afraid of running out. Why? Because I hate being without my Parawire! 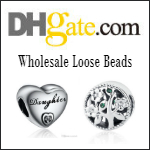 I like to buy my wire from them in the largest they have available in the gauge I want. I usually go for 300 feet if I can. I've spent quite a bit of time happily wrapping and making without thinking of running out. Please oh please - chuck my name in there Pearl! I think I'm to the point where a $50 gift certificate would really help towards my usual $300 order! Wire working is fun. Would love great wire to work with!!! Would like to give some wirework jewelry a go. I love Parawire and would love to win this. 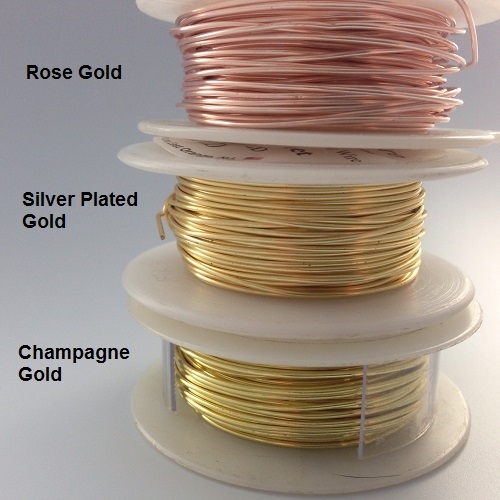 I love using Parawire - with so many colours and in round and square wire it can be used for any Jewelry project! I would really like to win the Parawire Giveaway. 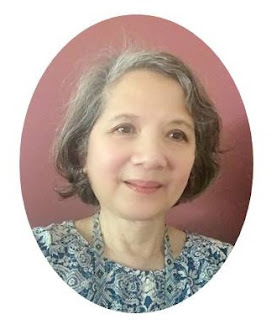 Thank you Pearl for your terrific site. I look forward to it every day. I use ParaWire almost exclusively! I am still a fairly new wire jewelry artist and find that the colors are consistent and that I can often find just what I need. I make ear wires from 20 gauge parawire all the time! I hope I win, thanks! Never tried this type of wire, definitely going to look into it - thanks! I used to use a lot of parawire. Not really sure why I quit as I was very happy with the product. I am so interested in chainmail jewelry. I have made so many pieces and have given them away to family and friends and love to learn new weaves and designs. Parawire is an awesome product for my work. ALLO I'LL NEVER TRY PARAWIRE BUT THOSE EARRINGS LOOK AMAZING. WOULD LIKE TO WIN THIS AND MADE SOME JEWELRY FOR FAMILY, FRIENDS AND ME FOR SURE!! I LOVE creating with Parawire, and this was a fantastic idea to show the actual colors along with the beautiful flowers. It gives you an idea of what you can create! I have a fixed income, so winning this would be a gift from Santa! Merry Christmas and a healthy & happy holiday season to all! I would be interested to see how well parasite works compared with other non-tarnish wire. Those gold colors can be tricky but the silver plate one looks like it has a nice tone. Oh, I'm also a blog subscriber and I shared this on Facebook! would love to try this wire out ! awesome giveaway! This would be fantastic! I've been making a lot of wire wrapped necklaces lately, and I'd love to play with new colors. I always need more wire so this giveaway is great! Thanks Pearl and Parawire!. Greta gdmar@comcast.net Almost forgot I am a blog subscriber. I would be so grateful if I won. Wire is something I always am in need of. Thanks for the giveaways. I love to use wire in my Kumihimo projects. I can already see dozens of projects for the wire. I wasn't familiar with them and am excited to find a source of so many colors and guages. I've always used raw metals and just started using the coated wires. I love, love, love not having to seal the wire to protect the finish! What I could do with this prize! I've used Parawire for almost everything except soldering for many years. I made my own jump rings for my chainmaille classes. I also sold my jump rings. I had to give this up for personal reasons. Nice blog! Your article was a tutorial for me. I have some wire in my craft box but haven't had the time to use it yet. I certainly could use more. Retiring soon. So much wire needs so much time. 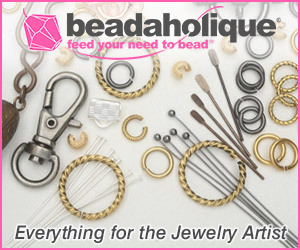 Parawire has been and will continue to be my first and only choice in wire for all my jewelry making projects. Great giveaway. Parawire will continue to be my one and only choice in wire. Great giveaway!!! mcd1264@gmail.com. Mary. Drayer. 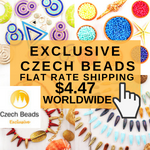 -Designer/Wire Weaver. I love working with wire. This would be a nice gift to myself for Christmas. Thank you for the offer! I have enjoyed using Parawire when I needed an alternative metal to Sterling. Love these colors and would love to win them! So many beautiful colours of wire! Gives me lots of ideas for some wireweaving projects. Love the various colors of Parawire. It would be great to win this. I'm very excited to win! But I'm also excited to find your website, off to explore! What an informative post. And what an awesome prize. I have been experimenting with wire wrapped jewelry to sell at a local jewelry studio and craft fairs. I would love to receive this giveaway, especially the copper wire which is hard to find in my area. Such pretty colours! Thanks for the chance to win! I have not had the opportunity to try Parawire but some of my jewelry designer friends have and that is how I heard about it. I am in love with the Rose Gold and will be placing an order this evening. I appreciate the additional discount. I am also sharing your blog link with my facebook friends. Wonderful colors. So nice of you to host this. One of us will be happy. What a cute earring design. Love the flowers and the colors are great! Would love to win! Love the look of this wire! I'm giving this contest a shout-out on my Pinterest board, "Contests". I love to work with wire and this wire looks so nice! After years of using sterling silver and gold filled wire, I tried Parawire and was hooked. I would love to win this so I have lots of wire for my classes. I haven't been doing jewlery for very long. In the the time that I have been doing jewlery I have fallen in love with wire. The fact that you can take a straight piece of wire and create anything you want. Amazing! I love the choice of colours and would love to try some ideas I have with them. Wow! I would love to win this Parawire. The earrings look great. Thanks so much for the instructions very pretty and for the chance to win. I love Parawire wire. Wow what a great starter collection!! Would love to win it.. I can never have too much WIRE. I want more. I like using parawire. The colors are beautiful and they hold up well. Thank you for the chance to win. I also subscribe to your blog. Thank you for the chance to win. I follow your Blog, Instagram , and Facebook page. I shared the link on my personal and business Facebook page. I love the choice of colors to be found on the Parawire site. I'd be 'wired' to win this! Best wire ever, so many colors and sizes. I'm hooked and now I have my sister hooked! Ooooo, PICK ME, PICK ME!! :) I haven't used their wire before. Wire that is easy to manipulate is right up my alley! Thank you for taking so much time to share all of techniques, tips, ideas, this is a great 1 stop website. That would be awesome to win this gift card. I've never used parawire before but have been hearing lots of positive things. Saw on Facebook this contest and thought it would be very cool to win some! I love Parawire! I constantly use it to make many bracelets and necklaces. I never thought of using them for earring hooks! Also shared this article on Facebook! How do you become a follower? That is easy. You can either subscribe (free) to receive my blog posts daily OR weekly via email - see subscribe box on the top right. If you like/follow me on Facebook, Twitter etc, it also counts! Love, love LOVE Parawire! 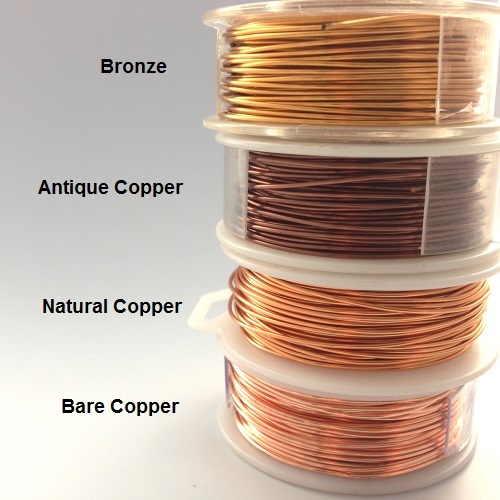 Best jewelry making wire around! I'd be 'wired' if I won. I have tried several colors and gauges of Parawire. It works up beautifully. I love using Parawire. I make most of my ear wires and bails using it. Some of my customers are allergic to nickel and some to precious metals so it seems to work perfectly for everyone. I particularly love the brilliant colors, it adds zip to my designs. I follow your blog everyday, there's always something interesting. Thank you. I am a blog subscriber and love Parawire. I use it on most of my jewelry. Love the colors and the flexibility of the wire. I've never tried Parawire, but would love the chance. And a free chance is even better! I have never heard of Parawire before but I would love to try it thanks for the chance to win!!!! Would love to try your wire! Hope I win ! Would Love to Win This! Thank You for the opportunity. I would LOVE the opportunity to try out Parawire! It looks beautiful, and I've heard it works very well. Can't wait to win! I've tried Parawire once before and liked it better than artistic wire. Would love to win this giveaway! Will have to try some of this wire to make some ear wires. Thanks for the tip. I haven't had the opportunity to try Parawire yet but I've heard lots of good things about it.I haven't seen it in my local bead stores so it would be great to win some to try it out. Thanks for the opportunity Pearl and of course Parawire. I love this tutorial! I exclusively use Parawire! It is the best. I'm definitely running low and need to pick up some 20 gauge in more colors soo . Can't wait to try this!! I use parawire for wire crochet. I also use 20 ga parawire for ear wires. I love the quality. Thanks for the great tutorial and the great giveaway.